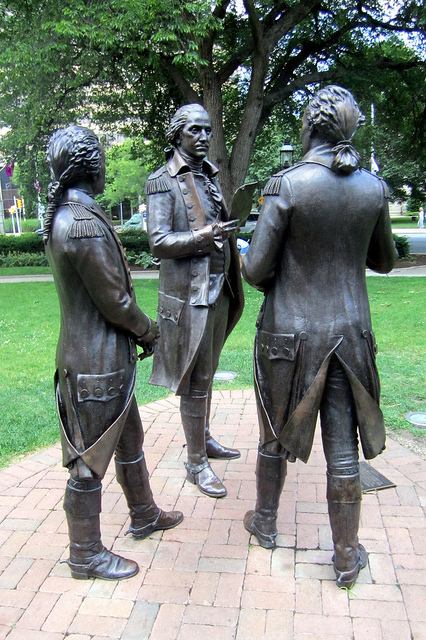 Morristown Green, NJ: "The Alliance" (statues of George Washington, Alexander Hamilton, and the Marquis de Lafayette meeting in 1780); photo by Wally Gobetz on Flickr (noncommercial use permitted with attribution / no derivative works). 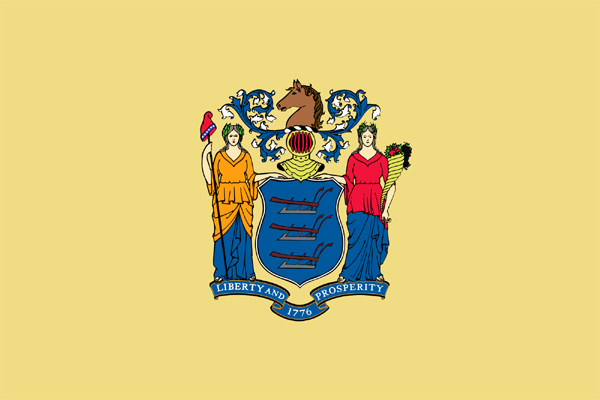 New Jersey was the third state to ratify the U.S. Constitution in 1787, and the first state to sign the Bill of Rights. 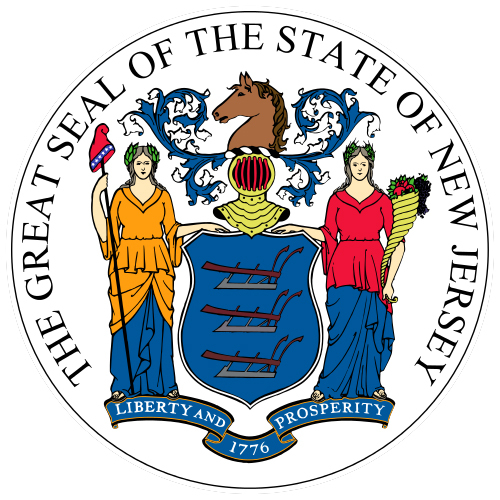 The Great Seal of New Jersey includes a banner with the state motto "Liberty and Prosperity" and the date of New Jersey's statehood: 1776 (public domain image on Wikipedia. Flag of New Jersey; featuring the coat of arms on New Jersey's state seal and the state colors of buff and Jersey blue (public domain image on Wikipedia).